The count down is on!! 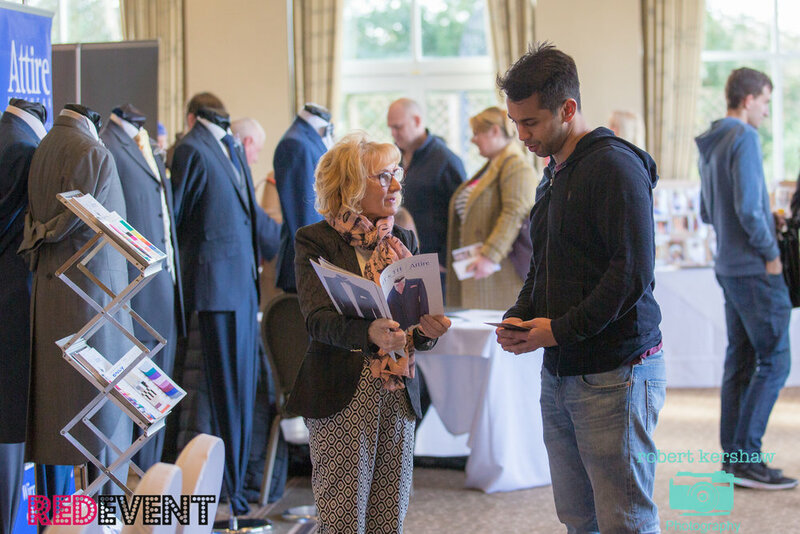 It is 6 weeks until we host our popular Cheshire Wedding Fayre at the beautiful Macdonald Craxton Wood Hotel & Spa, Chester and what better way to plan your wedding than in beautiful surroundings with 40 amazing wedding suppliers all under one roof!! 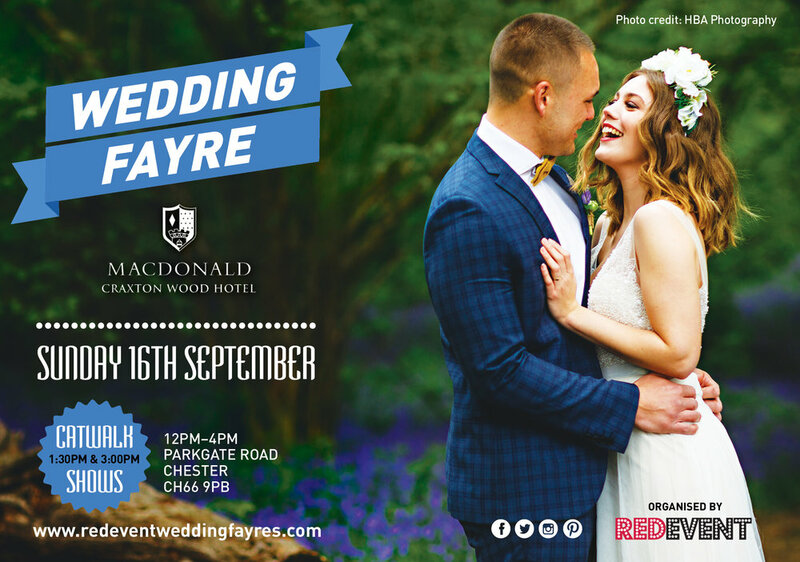 Red Event will be teaming up with the Stunning Wedding Venue Macdonald Craxton Wood Hotel & Spa, Chester on Sunday 16th September to bring you everything you need to plan your dream wedding!! FREE for everyone to attend love will certainly be in the air and this will be a ‪Wedding Fayre not to be missed! Our wedding exhibitors will be waiting for you in the Craxton Suite and Restaurant Conservatory offering you everything you need for your wedding from cakes, stationery, wedding rings, menswear, flower girls dresses, hair and make up demos and make overs, entertainment, and all the latest in wedding ideas and inspiration making your wedding planning that little bit easier! · Catwalk shows will be at 1:30pm & 3pm showcasing bridal, grooms wear and flower girls dresses! · Live music: we are super excited to be welcoming the amazing live music from Eské who will be playing during our catwalk shows! The trio specialise in acoustic music and can perform golden oldies or the very latest chart music! Come and see them perform and see what they can offer you for your wedding day! · Fizz & Canapés upon arrival - yum yum, taste the award winning food and drink at the Macdonald Craxton Hotel! · Dedicated wedding team on hand to create your perfect wedding - nothing is to much trouble for the Craxton Team so be sure to let them know about your wedding ideas over a glass of bubbly! · FREE ‪Entry, free copy of Your Merseyside & Cheshire magazine, free prize draw, make overs, demos and so much more...! Our lucky winners from the free prize draw will be announced during our catwalk shows at 1:30pm & 3pm so be sure not to miss them! 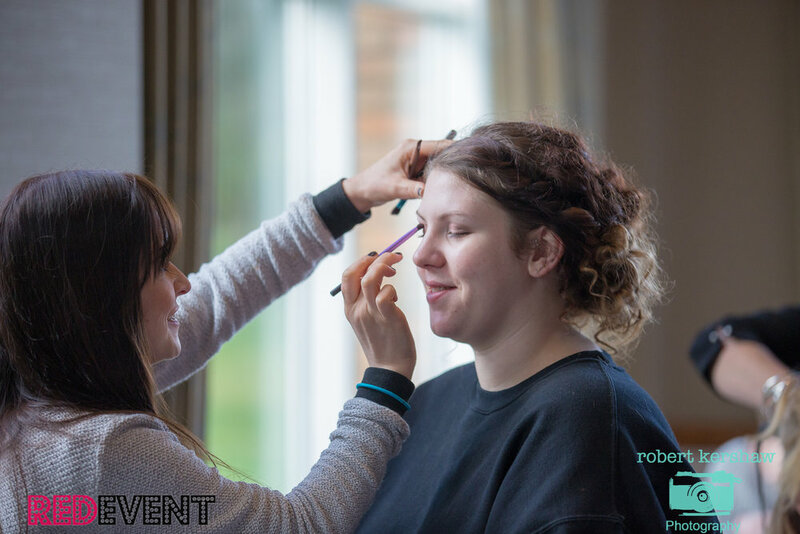 · Tones of exciting offers available on the day - Keep your eyes peeled as we have some fantastic deals helping you to save money when planning your special day!! These will be posted on our blog and social media pages over the month leading up to our Cheshire Wedding Fayre!! PRE REGISTER FOR YOUR FREE TICKET through our website and for an extra entry into our on the day free prize draw to win..... Spa day for you and your finance including a 2 course lunch, glass of fizz plus 2 x 30 minute treatments per person to use at the Macdonald Craxton Wood Spa! With stunning function rooms bathed in natural light, a luxurious new spa and 18 meter heated pool, award winning food and drink Macdonald Craxton Wood is one of the finest wedding venues in Cheshire to choose for your wedding! We look forward to welcoming you on 16th September!